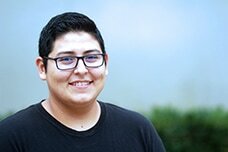 Carlos Sandoval is a 3rd year Ph.D. student specializing in Learning, Teaching, Cognition, and Development (LTCD). His research interests concern the employment of research-practice partnership (RPP) approaches to support equity, learning, and teaching. Specifically, he is interested in the interrogation of RPP approaches for collaborating across communities. Currently, Carlos is helping to establish and sustain a Networked Improvement Community across eight of the University of California teacher preparation programs. He brings five years of experience in networked improvement science, a specific approach to research-practice partnerships that makes central the continuous improvement of outcomes and design. Prior to joining UCI's School of Education, Carlos worked at the Carnegie Foundation for the Advancement of Teaching. In his three years at the Foundation, he focused on the application of quality improvement methods, including user-centered design and improvement science, to systems of faculty professional development in the Carnegie Math Pathways. Through this work, he has gained a deep appreciation for issues of equity, social justice, the work of teaching and teachers, and improvement science thinking and doing. Carlos received his B.A. in psychology at UCLA. Sandoval, C., Edwards, A., & McNamara, H. (2016, April 12). Tests of Change in the Continuous Improvement of Professional Development for Community College Developmental Mathematics. Paper presented at the 2016 annual meeting of the American Educational Research Association. Edwards, A., Sandoval, C., & McNamara, H. (2016, April 11). Processes of Adaptive Integration in Scaling Professional Development for Community College Developmental Mathematics Faculty. Presentation at the 2016 annual meeting of the American Educational Research Association.